A One Day Bioawareness Workshop was arranged in Abbottabad University of Sciences and Technology (AUST) on 16 October 2018. Participants learnt about biological risk mitigation. 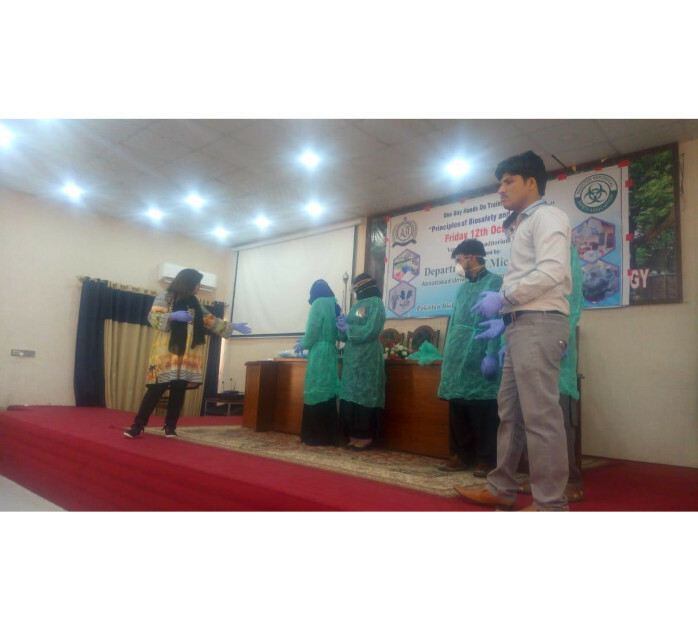 They were also provided hands on training regarding donning and doffing of gloves and other safe lab practices. 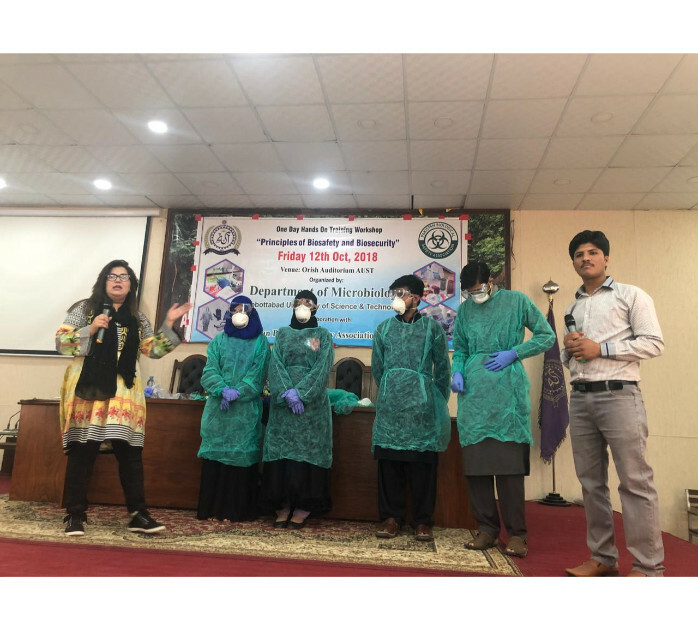 It was a very significant and useful learning experience for participants, and helped spread the message of biosafety and biosecurity in Pakistan.